I had painted a small version of this scene a few years ago after our visit to New England. It has been a very popular painting. 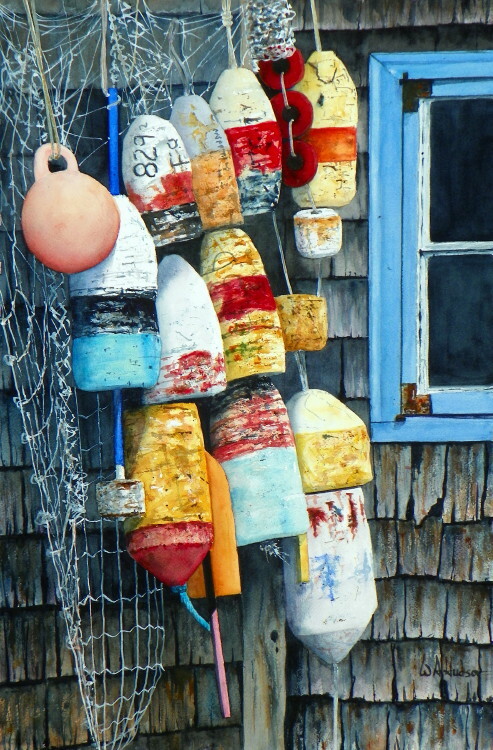 These buoys were resting against a house near the harbor of Rockport, Massachusetts. I decided to do this larger composition as I was thinking of our upcoming visit to the coast of Maine.